3840 x 2160 native resolution. Touch, tap, glide and make the most of Windows 10. LED backlight. 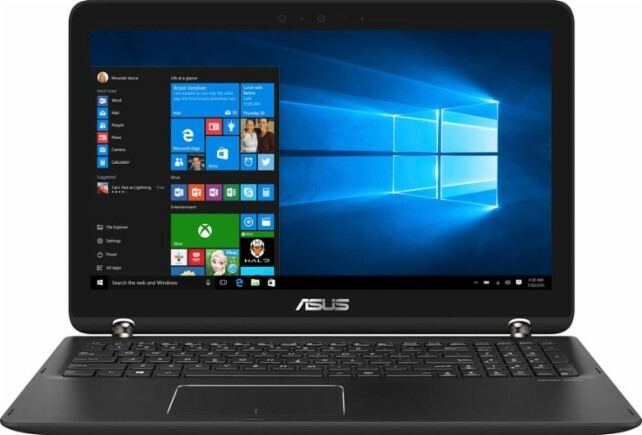 Click the button below to add the Asus - 2-in-1 15.6" 4K UHD Touch-Screen Laptop - Intel Core i7 - 16GB Memory - NVIDIA GeForce GTX 950M - 2TB HDD + 512GB SSD - Chocolate black aluminum hairline with dark copper to your wish list.